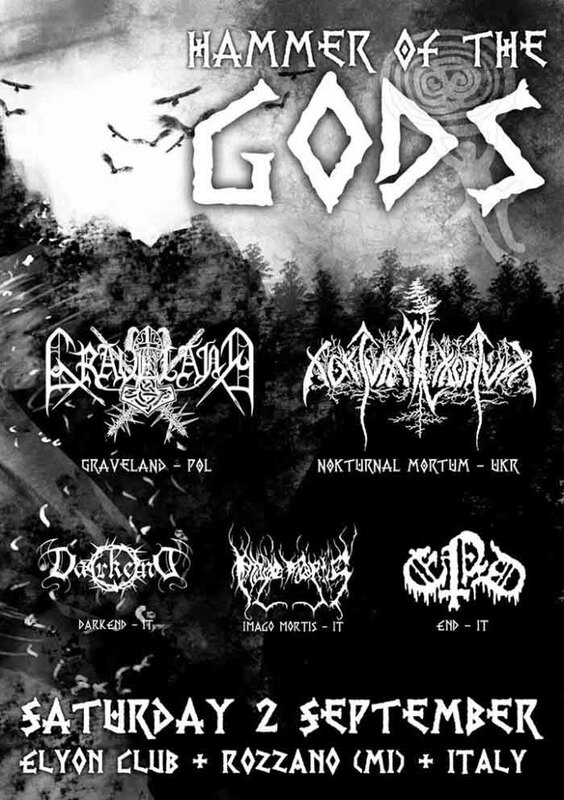 Flowing Eastern European black metal bands Graveland and Nokturnal Mortum are headlining the Hammer of the Gods festival in Rozzano, Italy on September 2nd. Social justice warrior Paul Resnikoff of Digital Music News whined that some metal bands on Spotify were on a Southern Poverty Law Center list of “hateful” bands on Itunes in hope of virtue “signal boosting” his pathetic music industry blog. With Verity, Nokturnal Mortum continue down the more commercial path they started embarking on The Voice of Steel and their half of last year’s The Spirit Never Dies split with Graveland: commercialized rock-constructed music with Ukrainian folk and power metal aesthetics. 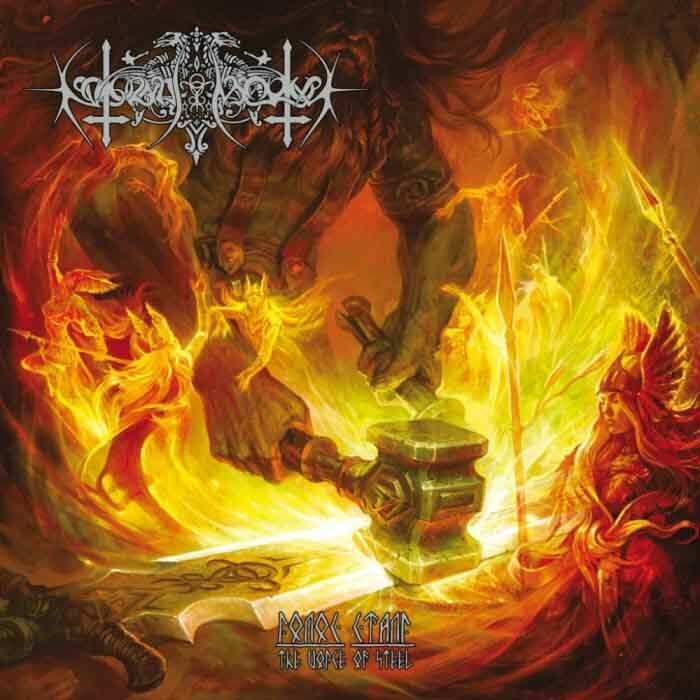 On the inferior half of the The Spirit Never Dies, Nokturnal Mortum abandoned the use of the progressive rock techniques with speed, power, and Gothenburg metal riffs to craft compositions similar to the extended, droning flowing black metal compositions of past greats. Verity continues the slide down into Wacken fare. Ukranian blackened heavy metal/”flowing black metal“/black ‘n’ roll band Nokturnal Mortum posted a teaser of their new album, Істина (“Verity”), on Youtube. Will Verity match The Voice of Steel or will it be tripe worthy of only throwing at a homeless Eastern European alcoholic pestering you for change to buy Polish potato vodka that tastes like rubbing alcohol that a cat vomited in? Will Nokturnal Mortum blend the folk and heavy metal into effective compositions or will Verity suffer from lame breakdowns for Cossack line dancing? Let’s find out! This text is a continuation of the previously published article, The Difficulties of Folk Metal. As stated in Part I, the threefold aim of this multi-part article is, in rough terms, to: 1. Give a short introduction to the subject, 2. Point out some of the difficulties connected with integrating folk music into metal and finally, 3. Provide alternative methods of integration. Part II will be dedicated to the second part of this quest. Naturally, there are limits regarding the scope of my endeavor – the most obvious demarcation being that the article primarily focuses on Swedish folk music. 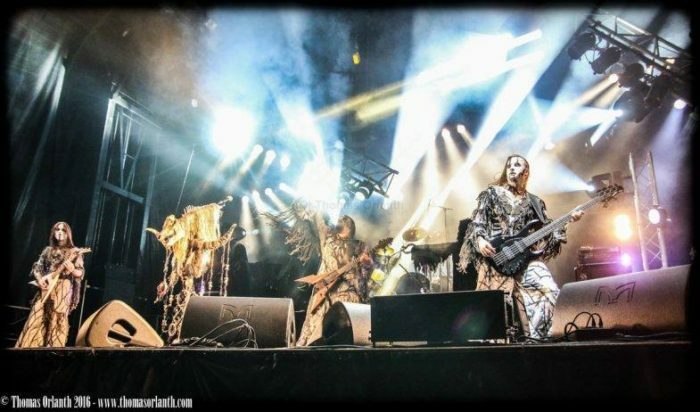 In my view, the critique of folk metal is an ongoing project, and this article should not be seen as an exhaustive treatment of the subject at hand. So, if someone else out there finds the subject interesting, you are more than welcome to make contributions. It could be in the form of additional material (metal or folk related) and complementary ideas to enhance the project. For example, the depth and applicability of the arguments presented below would surely benefit if the scope could be expanded to include other forms of traditional music. Splits are usually revealing for reasons the bands do not intend. By allowing their music to be placed alongside that of another band in a way that listening to them one after the other is not only encouraged but, in metal culture, almost mandatory, they make comparisons and judgements based on performance differences inevitable. The aim might be to publish a few tracks more efficiently and getting the music to more people since people who know one of the two bands will listen to the other band out of curiosity. The more zealous metal fans, however, are bound to make harsher judgements of anything that is placed too close to the band they follow. During the 10th century A.D., Prince Volodymyr and Queen Olha before him adopted Christianity in a war-torn land with deep-rooted Pagan beliefs. Little could either of them have predicted how hard it would be to impose a foreign philosophy on the yet unbroken Slavic spirit. Over a millennium later, the politically-imposed monotheistic deathcult would be suffering a slow death while the true colors of the Slavic nation would slowly resurface out of the fires of hate. After all how could they have known that culture and spirit are embedded in the very marrow of bones and hearts of the people? Alas! This ignorance would still be espoused by armchair ideologists until the 19th century and further hammered from above from the second half of the 20th till this day, when true scientific thought is again challenging institutionalized blindness. That is, an ignorance of the logical implications of the lessons of history, psychology and biology, and instead seeing them through the lenses of a secularized Judeo-Christian paradigm. Such a modality of thought still reigns supreme today, even unknowingly among those who would claim allegiance to no supernatural power. 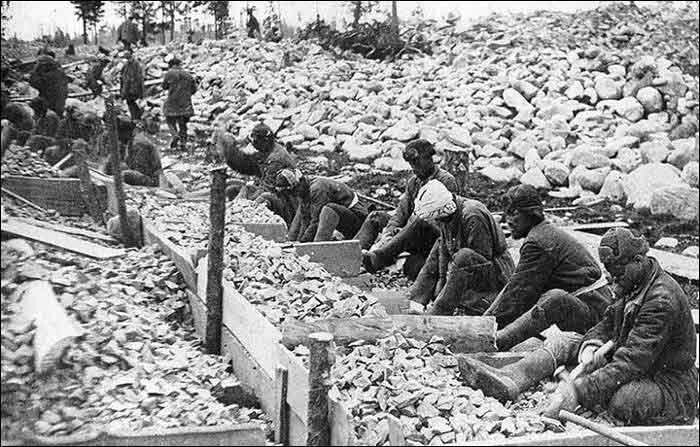 As the land of Ukraine became the collision point for both Asian and European hordes, its brave people soldiered through the intermittent periods of cold desolation and burning brutality. Their spirit weathered the storm, and as a sword forged between the hammer of growing materialism and the anvil of that Middle-Eastern cult of death (administered in a variant especially fostered for European minds, slightly different than that given to the Native Americans), a crude but precious Herculean force arose. European nations previously beyond the Iron Curtain have not been known to produce the most accomplished black metal. These usually make prominent use of heavy metal technique while overlaying folk tunes on a poorly-focused progressive structure. These may still win the hearts of the fans of underground metal as honesty and spirit are still highly valued. This ‘best effort’ attitude is endearing, but such obvious naïveté, however authentic, can only take one so far. Amateur tones characterizing the Slavic underground have meant simultaneously, salvation and bane to the subgenre. On the one hand, its crudeness has effectively forestalled the sellout phase that sooner or later comes about as entropy sets in. On the other, it has deterred a much desired collective coming of age. This is all very much in keeping with the general Slavic spirit: over the top bravado, sincere yet aloof sentimentality, but not the most structured of foundations. Nokturnal Mortum’s history stretches back to the time when metal was on its deathbed, the junction at which the rise of parasitic and zombie-minded scenes first came about. The band achieved a certain degree of notoriety in the underground with their sophomore release Lunar Poetry in 1996. After that, the band did not offer much more than a few unconvincing recordings that flirted with pseudo-symphonic stylings: starting out big and epic early in the album and quickly degenerating into slightly comical rock beats and awkward folk tunes. After five years away from the studio, the band returned with a folk-ambient album speckled with rock metal enhancements here and there. This was the necessary transition that would make the next album after it the most accomplished Slavic black metal album to date. To be more precise, what was achieved in that following album, The Voice of Steel, is an accepting of the full paradigm of black metal without giving up the naturalistic and folk-like tenor unique(in this day and age, at least) to Eastern European metal. In contrast to traditional black metal, the ideological bent of its Slavic counterpart demands a different approach to technique in order to better convey the necessary impression. Instead of outright occult devilry, either through blasphemy or mystic conjuration, we find the remembrance of heroic personalities as well as true active(that is, through expression in the actions of life, ordinary and exceptional) reverence and worship presence of the forces of nature, both seen and unseen. This admiration for heroic prowess that so characterizes the native spirit of the land and people channels the powers of nature itself in their superlative expression at particular points in time according the times themselves. 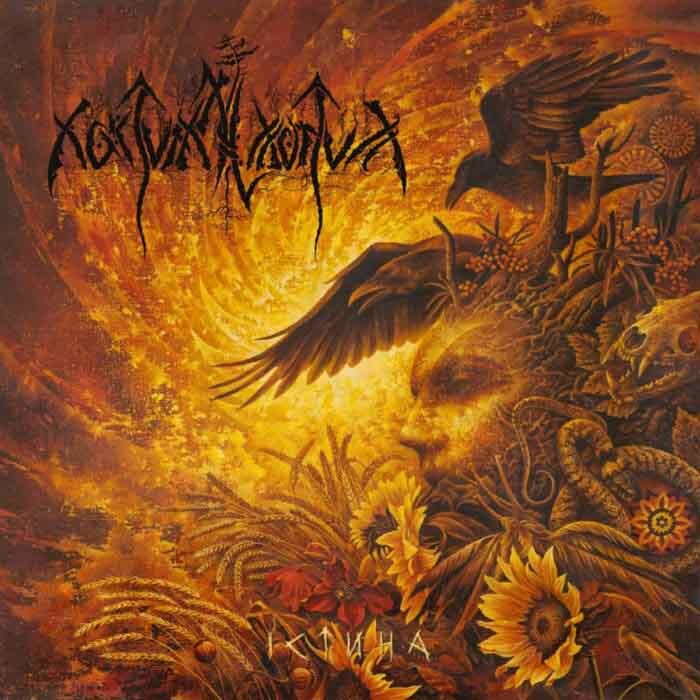 Rather than the modal, riff-heavy construction of traditional underground metal, Nokturnal Mortum takes a harmonic, rock chord strategy. This may deter many a purist of the serious underground, but a little patience when approaching The Voice of Steel will result in a most rewarding experience. Once past the local use of rock aesthetics incorporated into a melody-and-riff riding that is closer to the methods of metal, the longer, repetitive structures of goal-oriented black metal become clearer. Sections and patterns are allowed to sink in beyond familiarity and to embed themselves inside the mind of the listener. The lighter nature and swinging rhythm of the salient folk tunes are not given to induce a pensive trance-like state, and so the overall effect is used to a different result. Smooth yet significant transitions take place in such stealthy a manner that they may go unperceived by an inattentive audience. These bring a refreshing sense of justified variety to the strict continuity of events. A comparison with Sorcier des Glaces and the French method may not be out of the question in this respect, with the considerable difference that Slavic bands such as Nokturnal Mortum or Drudkh make more frequent and overt display of rock/post-rock textures and musical sensibilities. To conclude, it feels necessary to point out the outstanding use of ambient techniques that should be part of the repertoire of any black metal band of any worth, whether applied explicitly or otherwise. These, in combination with rock texturing, rhythms and guitar soloing brought to the mind of the writer the late Pink Floyd. 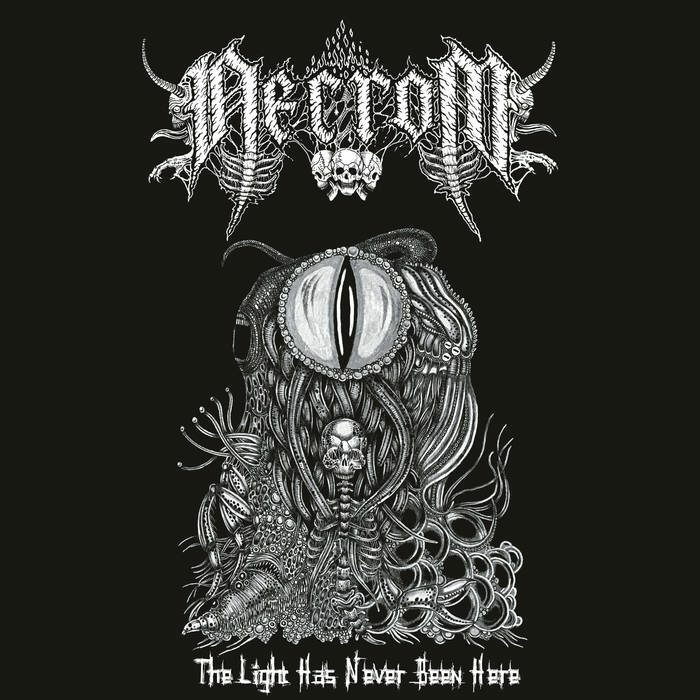 The result of the correct fusion of the more popular techniques showcased in the older band with the sharp focus of proper black metal can result in an interesting balance. The strictness of black metal seems to have been what the disconnected, apparently drug-induced passages of Pink Floyd required in order to contribute to the formation of a full music. These elements are humbly utilized in The Voice of Steel, which through the careful and patient working out of little aspects, their interactions and combinations, give birth to a formidable solar metal. Hailing from Ukraine, Bureviy (Буревій = Hurricane) play a modern take on black metal which makes use of old school sub-styles by keeping them relatively uncontaminated but subsumed under the band’s personal voice. 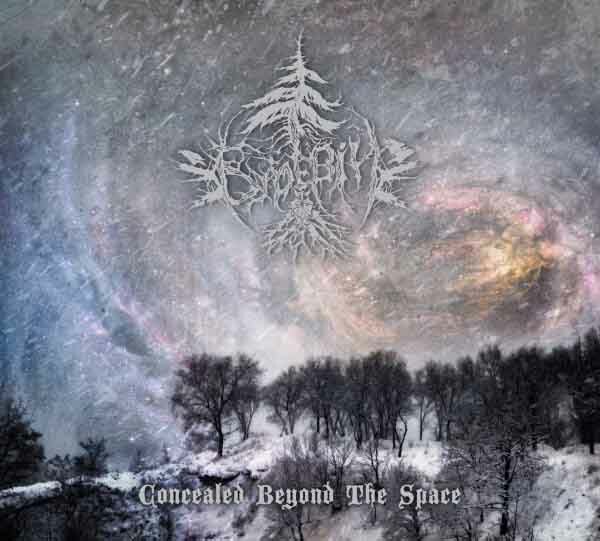 In Concealed Beyond the Space we find the folk-oriented black metal with rock sensibilities of Nokturnal Mortum, the swaying of long melodies of Drudkh, and a collection of strumming, tremolo picking and metal riffing that meld as diverse raw material for a black metal language descended and definitely compatible with but ultimately different from the more uniform black metal of old. This approach is somewhat of a signature among Eastern European and Québécois black metal bands. The phenomenon is interesting when found in albums that manage to channel this almost faceless style into beautiful and meaningful expression. It demands a stricter attention to musical coherence in composition as the link between musical ideas will not be found in stylistic uniformity. Bureviy even makes use of acoustic guitars to decorate or fill passages that at first may feel like misplaced filler. A closer and paradoxically more comprehensive look also shows these passages are in line with the sections they connect and are not gimmicky interludes but articulations, points of exhalation. A single spin of this will pass unnoticed. It is like a dense temperate forest, you need to get close and see the trees, the rocks and the streams. It takes more time and familiarity with the album to experience what it is trying to transmit. Ancient Slavic nature-worship and the mystic contemplation in tune with the proud mountains, the warm hillsides and the powerful rivers is channeled through Concealed Beyond the Space. 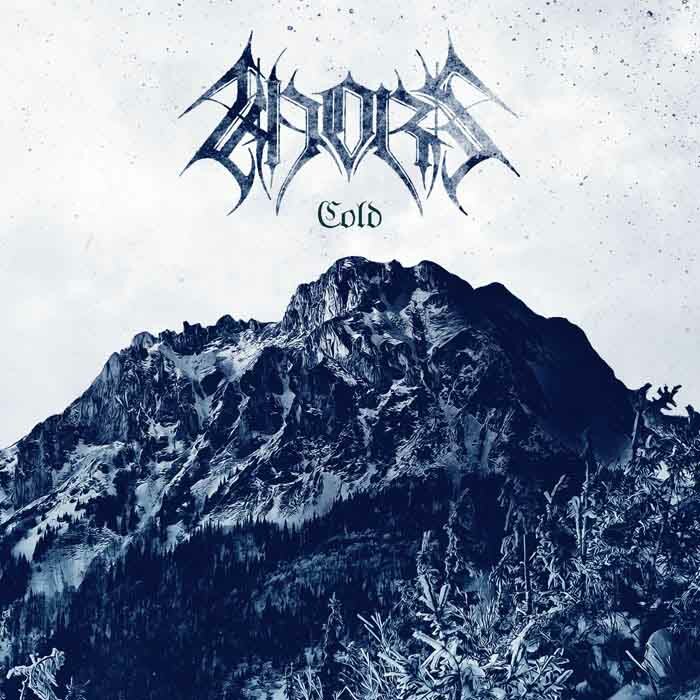 Cold consists mostly of simple guitar strumming outlining singable melodies with constant rock-like drums that use the double bass intermittently. The music relies on heavy repetition with very little changes. This is compensated by the tightening and releasing the drums provide through the simple effect of using and not using double bass drums. Particularly understated keyboards provide the spacious backdrop in which ghastly vocals carefully make sparing apparitions. Production in this reissue of the album is stellar, outshining that of releases by countrymen Nokturnal Mortum. The rock-oriented sensibilities of this Ukranian black metal could tick off purist fans of the more extreme expressions of black metal, but Cold remains a black metal album at its center. Content-wise representing little more than a mouthful for the experienced listener, this is a perfect release for those starting out with the genre. Strongly recommended as an authentic gateway album.